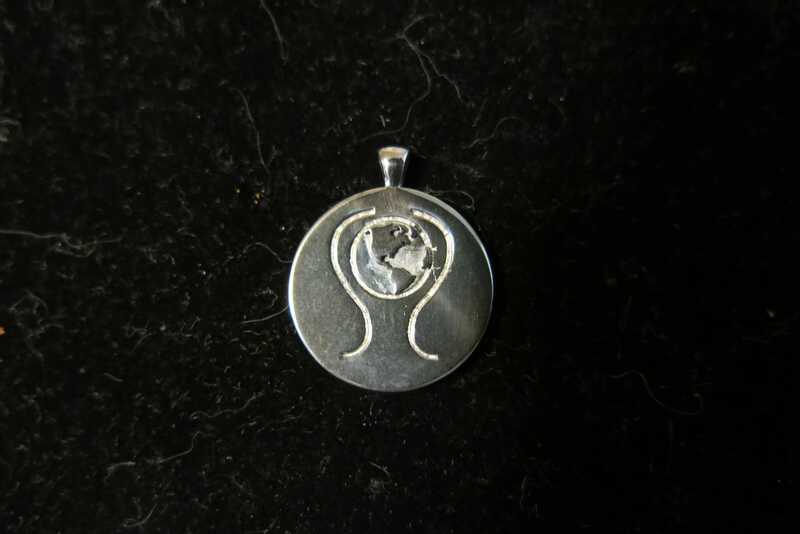 This Custom Globe Pendant was a request from a customer who worked for an NGO promoting and an “embrace the world” message. This was their logo and it was about an inch in diameter, but could be made larger. We can cast custom pendants up to 3.25 inches wide or tall in Bronze, Brass, Copper, Sterling or Argentium Silver, white, yellow, or rose Gold, Palladium or Platinum. If you wanted to add color, gemstones and even enamel can be added. Prices start for a Sterling Silver Custom Globe Pendant.